The Bentley Bentayga remains the ultimate luxury SUV. Will it lose out to the Rolls-Royce Cullinan? 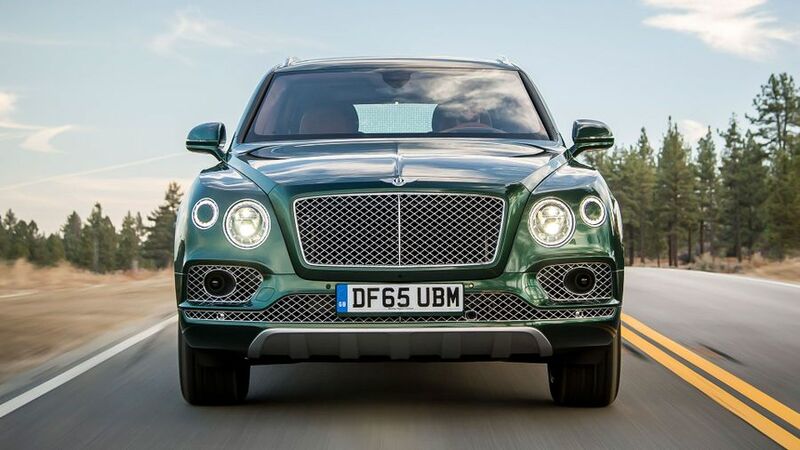 We feel fairly confident the Bentayga will remain top of the tree for handling and interior beauty, even if the Lamborghini Urus has taken away the “fastest” crown. 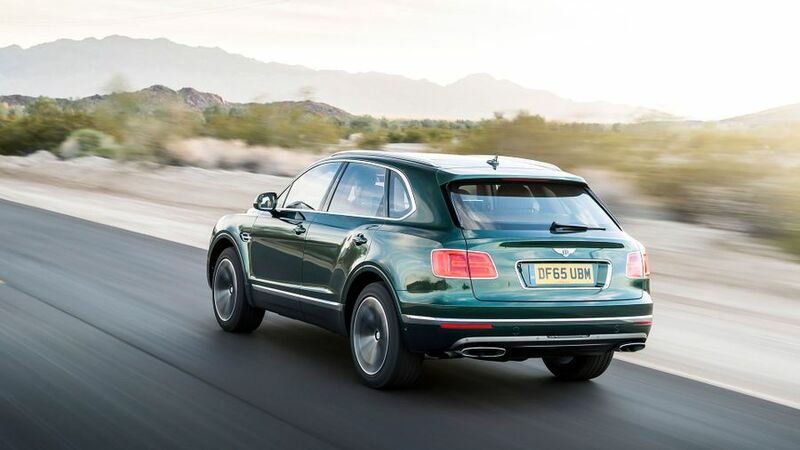 You could choose the flagship W12 petrol Bentayga, or the V8 diesel version, or wait for the plug-in hybrid, but we're think you’ll be wanting the petrol V8 if you live in the UK and are therefore subject to the taxation whims of HM Treasury on diesel. 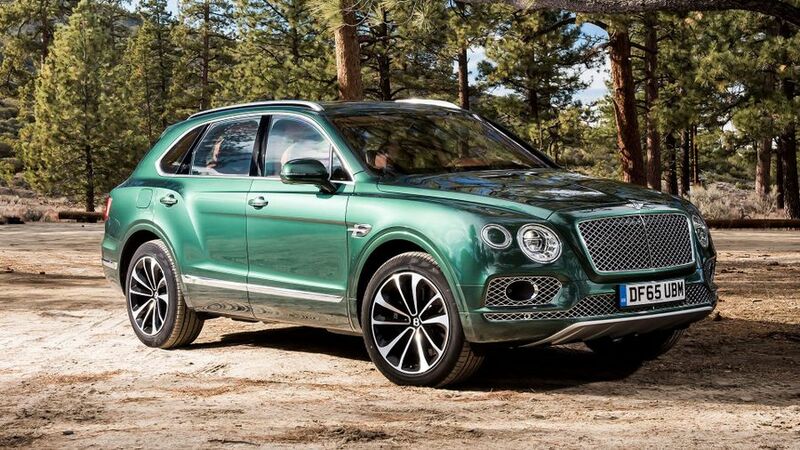 Interested in buying a Bentley Bentayga? 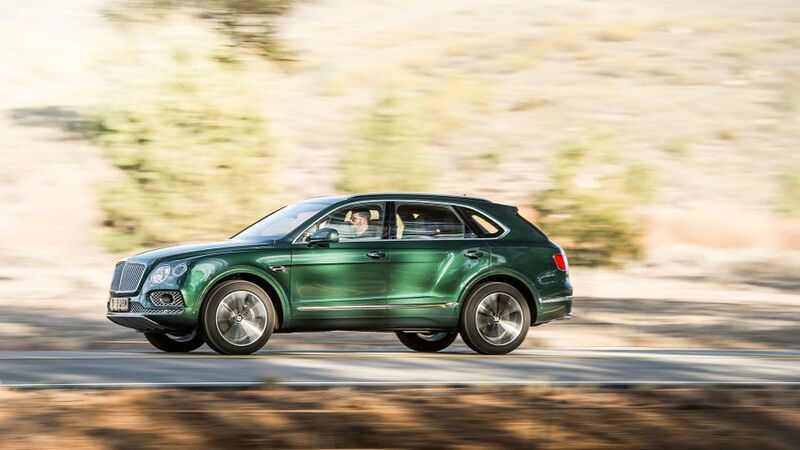 The Bentayga is Bentley’s first ever foray into the world of luxury SUVs, and while it follows in the footsteps of Porsche with the Cayenne, it has no real rivals, for now at least. Until Rolls-Royce and Aston Martin release 4x4s of a similar price and performance bracket, nothing comes close to the Bentley for a status symbol. 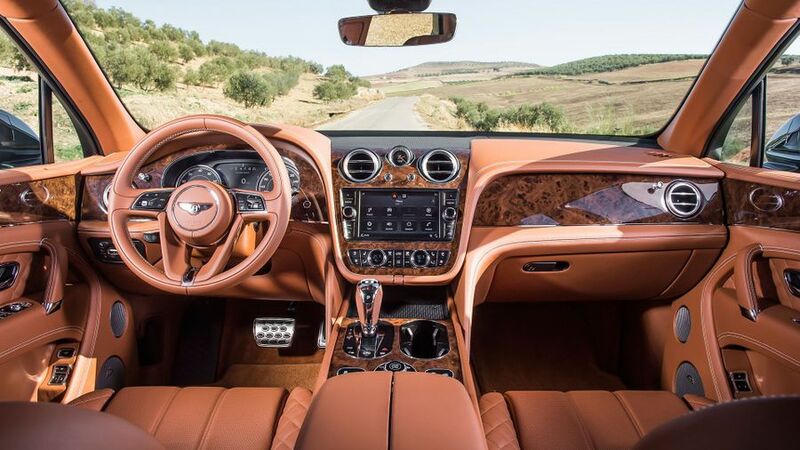 The body style might be a serious departure for a brand synonymous with luxury cars, but the design language is instantly recognisable as from the Bentley family. It has the same strong haunch and shoulder line from the Continental coupe, with a deep diamond pattern grille and a pair of lantern-like headlights at the front. It certainly has presence, but because it shares its chassis platform with the Audi Q7, it sits lower to the ground than a Range Rover SVR, for example. This shared DNA makes it look awkward and downright ungainly from some angles. The big alloy wheels, quad-exhausts and ‘Flying B’ design down the wings look great, but do seem a bit out of place on a boxy SUV profile. On the plus side, you can tailor the looks to suit your tastes, with an endless list of colours to pick from, a big rear wing, privacy glass, roof rails and chromed air-vents available as options. It comes with enormous 21-inch wheels as standard, but if you really want to fill the arches, you can get 22-inch alloys. However, if you plan to take your Bentayga off-road, Bentley recommends a set of mere 20-inch rims, on thicker tyres. The V8 petrol version adds red-painted brake calipers, a wood and leather trimmed steering wheel, a black five-spoke 22in wheel, and a glossy black grille as standard, for a sportier look. Choose a trait: build quality; detail; luxury; or technology; and the Bentayga sets the standard in all these areas in a way other premium Audi’s set-up - the very slick MMI - so it’s intuitive and works very well, with a large colour screen to display key driving information, between the gorgeous analogue dials. The seats are very comfortable, with a wide range of electric adjustment and lumbar support making it easy to get settled. Massaging chairs are also available. Visibility is surprisingly good in all directions, but there are also front and rear parking sensors and a reversing camera on hand for negotiating tricky spaces. The Bentayga is arguably the most luxurious 4x4 ever built – you’d certainly be better off removing your Hunter wellies before climbing inside that lovely interior – but it’s also practical enough to compete with the likes of Range Rover. A bench seat in the back is available, but Bentley says most customers are likely to opt for the two individual chairs in the back, which afford passengers a great deal of space in which to stretch out in all directions. Head, leg, and shoulder room is generous enough for long journeys, if not offering the same light and airy feeling afforded by the higher roof line of the Range Rover. In time a seven-seat version will be offered for extra seating flexibility, and it’ll also be the closest Bentley ever gets to building an MPV. Without a third row of seats, the boot space sits between 430- and 590-litres of load space, depending on whether you have the luggage cover open or closed. That’s more than enough room for large suitcases, and while it doesn’t have any clever tricks, it’s a useable, flat surface. If you get the five-seat version, the seat backs fold down 40:20:40 for when you need even more room, and the tailgate is powered as standard. You can opt for a sensor that’ll open it automatically when you wave your foot underneath, too. Of course, this is a Bentley, so if you really want to go all out, there are some options you just won’t find anywhere else, including a slide out shooting seat, and a stunning set of picnic boxes complete with a set of china, glass and silverware. No three-tonne Porsche Cayenne Turbo S and BMW X6 M. There are four on-road and four off-road driving modes to choose from, and a trick suspension set-up that gives it a wide range of handling abilities. The way it can scythe through corners at speed, shrug off bumps and ruts, and proceed calmly over steep ascents and traverse slippery obstacles absolutely beggars belief. This is all down to a new active dynamics 48v electric anti-roll bar system, which uses a pair of motors to respond to road conditions in double-quick time, adjusting the stiffness at each individual wheel independently. The result is an excellent ride – there is only a slight shimmy on poor surfaces, even on the optional 22-inch alloy wheels – but very little body roll. Normally, heavy cars with air springs take an age to settle down after you hit a bump, but the Bentayga simply absorbs it, and then hunkers down again, giving it tremendous corning poise. The steering also deserves a mention; it’s consistent, accurate, and surprisingly communicative. No matter which driving mode you choose, the ride always errs towards comfort, which is as it should be, but the handling really is impressive. If you want the performance of a supercar in something that weighs as much as the Bentayga, you need a mighty big engine to pull it along with. The 6.0-litre twin-turbo W12 is a prodigious motor and fits the bill perfectly. It produces more pulling power more than the supercharged V8 in the Range Rover SVR, and it does so from just 1,350rpm. It’s so effortless, in fact, that it's tempting to just waft along without pushing much beyond half-throttle. When you do put your foot down, though, the acceleration produced is truly startling. The engine suddenly surges into life, the eight-speed gearbox knocks down a couple of ratios, and you surge forward with sheer brute force. Bentley claims this is the world’s fastest SUV, and when it comes to top speed that’s correct; 187mph is beyond the reach of any rival. However, the 0-62mph time of 4.1 seconds (matching the lighter Cayenne Turbo S) is just as impressive, given its size. A 4.0-litre V8 petrol engine, developed with Porsche, produces 550 horsepower and 770Nm of torque; both figures aren’t too far shy of the W12’s, so we’d bet the average driver won’t notice the difference. There’s a definite off-beat muscle-car rumble from the V8 that the W12 lacks, so if you’re after a bit more character from the Bentayga, tick the V8 box. It also goes down to just four cylinders on a partial throttle, eg when you’re driving calmly, which will save you some money at the petrol pumps. Refinement is top notch. At tickover this engine is so quiet, you’ll think you’re driving a Tesla. Double glazed windows, and plenty of sound insulation mean it’s only really marginally noisier at an 80mph cruise. Even in its sportiest setting, the W12 only really makes its presence felt as a distant rumble of thunder, nothing more. The Bentayga is the first in a new segment, and as such the difference between it and anything similar is quite significant when it comes to price. It’ll cost you a lot more than most Range Rovers, bar the SV Autobiography model. Apart for the substantial cost of buying one, and spending around £50,000 equipping it to your exacting tastes (the current average, you could easily spend more), the W12 petrol engine has a serious fuel habit. This is even after being fitted with cylinder-deactivation technology and direct injection, to make it a little less thirsty when cruising and operating under light loads. A claimed combined fuel economy of 21.6mpg is wildly optimistic – mid-teens is what you should expect in the real world – and town driving or indulging in the impressive performance will dent that figure severely. Parts, servicing, depreciation, insurance… these things will all compete to ensure you never forget the initial outlay for buying a car like this is only the start of the spiraling costs. But, if you can afford to buy one, you can probably afford to run it too. A diesel model is due to be introduced if you really do want to cut your fuel bills, or more realistically, increase your continental cruising range. The V8 petrol version is about £30,000 cheaper than the W12. Due to strong residuals for the model, a PCP finance deal for the Bentayga (we know, but we’re assured customers do buy Bentleys on PCP…) with a 25 per cent deposit works out very similar to a Range Rover. Who knew? Bentley builds cars in such small numbers that there is no real bank of reliability data to call upon when considering its durability over the course of an ownership experience. What we can vouch for is the exacting engineering standards of what is still a largely handmade car. Bentleys are assembled in Crewe at a factory that specialises in making cars to a much higher standard than your ordinary, mass produced SUVs. The build quality inside is top-notch, but the car, the chassis platform, technology on board, and indeed the engine and trick suspension system are all new, so as yet largely unproven in the real world. At the same time, with only one petrol engine, gearbox and drivetrain to worry about, you better believe Bentley invested lots of time getting those things absolutely right, with rigorous and exhaustive testing. The standard warranty for the mechanical parts offered by Bentley covers three years or 100,000 miles of motoring, and can be extended to five years for a price. None of the cars Bentley make are sold in large enough numbers to warrant crash testing by European safety body NCAP. While the Bentayga is set to be the brand’s most popular and widely produced model ever, it’s unlikely to buck that trend. Still, it shares much of its safety kit with the Audi Q7, which received a full five-star rating in the same stringent tests. That should provide plenty of reassurance to potential customers, with the full list of airbags, electronic stability control and safety systems to call upon. The one drawback is that even at this price, much of the most advanced safety kit is an optional extra. These systems include adaptive, self-steering cruise control, rear cross traffic assist, and a 360-degree parking camera. Part of the fun of ordering a genuinely bespoke vehicle like the Bentayga is cherry picking the options, especially when it comes to colour and trim. We wouldn’t advise against this process, but bear in mind it can get very expensive quite quickly if you do start to get carried away. Most of the things you need are present and correct, so while there’s not really such thing as a ‘standard’ model, you do get sat-nav, climate control, heated leather seats, a full length panoramic sunroof, reversing camera, LED headlights, and soft close doors. Choose to raid the options list and the world is you oyster, from thick lambs-wool floor mats, to the picnic hamper we mentioned earlier (over £20,000, by the way), incredibly powerful Naim 20-speaker stereo, or even a solid gold Breitling self-winding clock which comes in at over £100,000. On the less frivolous end of the scale, there is the All Terrain package, which toughens up the Bentayga and gives it proper off-road ability. It’s a must if you do plan on taking yours on an actual adventure. On average, most Bentley buyers own around seven cars, so perhaps that question is better rephrased as, ‘Should I acquire one for the portfolio?’ In all seriousness, the Bentayga should only really be under consideration if money is no real object to your garage. If that is the case, we strongly recommend you drive one if you’re in the market for a high-end Range Rover. It feels just special enough, and rare enough to warrant the big step up in price.